Jenna Coleman (Doctor Who) returns for a new season as the young queen who wants it all—romance, power, an heir, and personal freedom. Joining the cast in the new season is legendary actress Dame Diana Rigg (Game of Thrones), who plays the Duchess of Buccleuch, the court’s new Mistress of the Robes. Tom Hughes reprises his role as the queen’s dashing consort, Prince Albert, and Rufus Sewell returns as the smoldering Lord Melbourne. In the first episode, new mother Victoria is impatient to return to ruling, while Albert attempts to protect her from the news regarding British soldiers in Afghanistan. 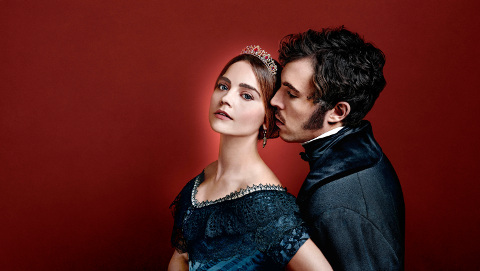 Victoria is pregnant again and her equilibrium is threatened by Albert’s friendship with Ada Lovelace.